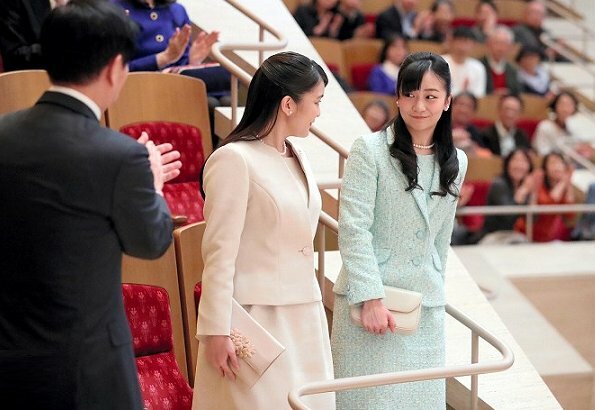 On March 24, 2019, Japan's Princess Mako of Akishino and her younger sister Princess Kako attended the concert of the Chiba Prefecture Boys and Girls Orchestra, held at Suntory Hall in Minato-ku, Tokyo. 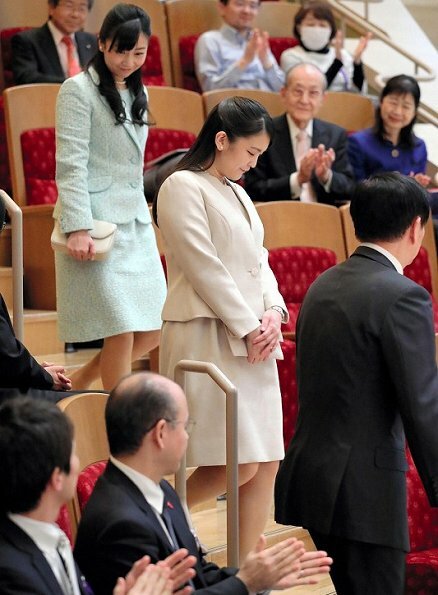 The Chiba Prefecture Boys and Girls Orchestra consists of 50 members between the ages of 10 and 20. Both look very nice. 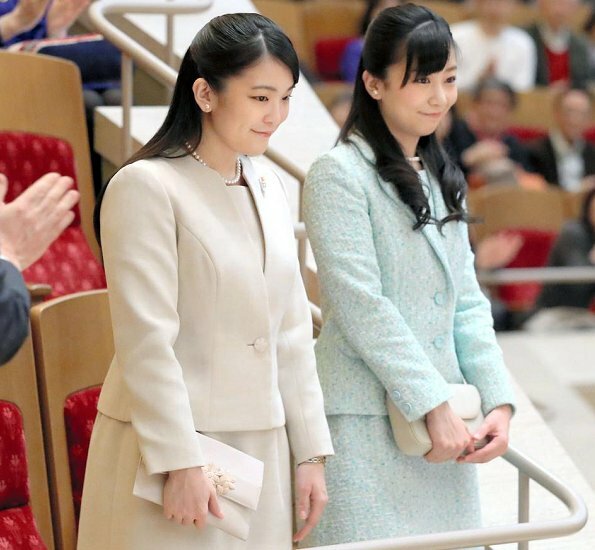 Timeless pieces can always be woren.How nice this is a sister act.Hope Pss Mako can marry soon. 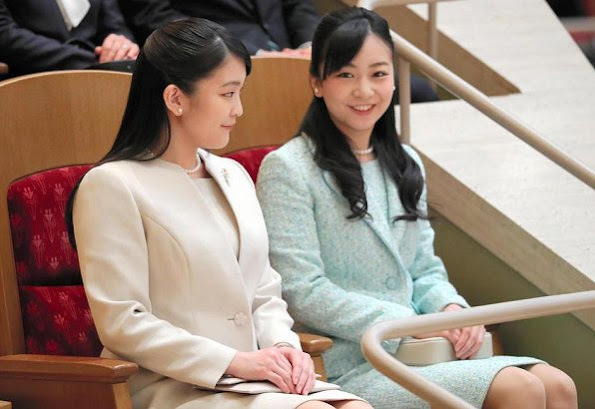 Very prim, proper and conservative. 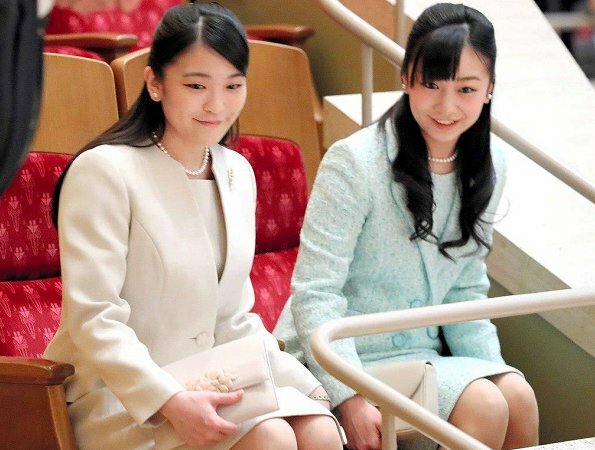 Nothing wrong with that, but I always wonder if they ever want to just jump, run, laugh out loud, scream and wear something different than prim and proper. I would not want them to go Kardashian, but gee they are young girls and it would be nice to see them in Chanel, Dior, Dolce and Gabbana, Elie Saab, Ralph Lauren, Jenny Packham!